Join Flamingo and family for our annual NYE funky reggae party! Warm up with a plate of Winston’s famous Jamaican vittles and sit back while we transport you to the most laid back New Year’s eve bash in town. 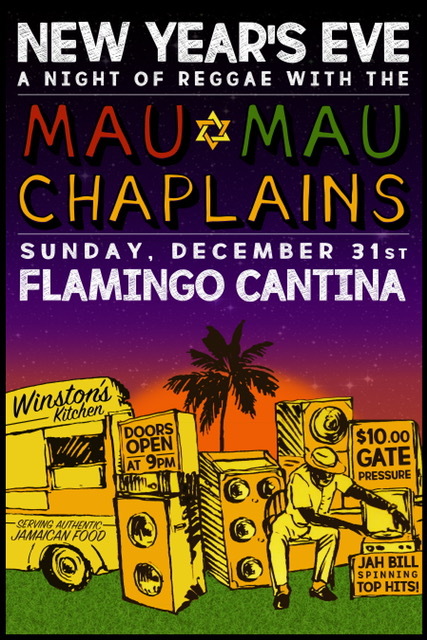 We’ve got the founding fathers of Austin roots reggae, the Mau Mau Chaplains helping to ring in 2018 with two sets of their groovin’ island sounds. DJ Jah Bill will ensure the party is pumpin’ all night long!